The hype and excitement around a new product, service or movement can cause a big buzz and adrenaline rush in the market. How can companies in emerging industries learn from others’ challenges? Over the past couple of years, a few of the Waterstone team members have been involved in a very caring organization, Big Brothers Big Sisters. This year, Waterstone proudly participated in the Big Brothers Big Sisters of Metropolitan Chicago’s Spare a Night Out event, which raises money to provide under privileged children with a mentor. The mentors serve as a stable relationship in the children’s lives to enrich them through social events, develop problem solving skills and ultimately graduate high school. As a team, we raised $1,800 and 100% of the funds raised stay right here in the Chicago system. We thoroughly enjoyed raising funds for a great cause and celebrating the success at the bowling event. Overall, the event raised over $210,000, way to go BBBS Chicago! 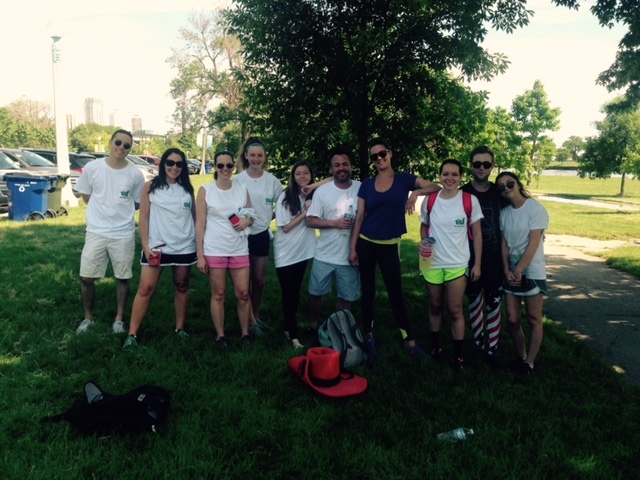 Waterstone team has been supporting the Lincoln Park Community Shelter for several years now. Our team was excited to participate in the 2017 Taste of Fall event meeting other supporters and members. LPCS The Lincoln Park Community Shelter (LPCS) is a comprehensive social service agency serving adult men and women experiencing homelessness. A highly individualized, client-driven approach is a hallmark of the organization that serves between 300 and 400 individuals each year. All of the LPCS endeavors are guided by the values of accountability, self-determination and community engagement. The five programs of the LPCS work to address the challenges of homelessness at every point in the housing continuum. 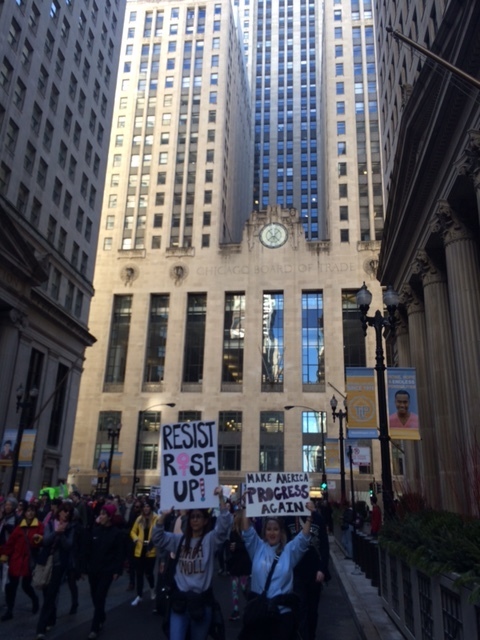 Women’s March on Chicago (WMC) is an organization advocating for women’s rights, promoting intersectional feminism, and challenging the political system regarding issues affecting women. WMC connects us as everyday champions of human rights for ourselves/others in our diversity. When we stand together, our strength multiplies and our voices must be heard. Fairness, justice, and equality require rigorous defense and promotion, and are not yet won. We recognize lack of fairness, justice, and equality are suffered by some much more than others. We need to work until fairness, justice, and equality are reality in all parts of society. Established by Betsy Peterson in 1996, The Children’s Heart Foundation (CHF) is the country’s leading national organization solely committed to congenital heart research funding. Since 1996, CHF has independently funded 72 research projects with nearly $8.7 million. In addition, CHF and the American Heart Association have collaboratively funded 14 research projects with nearly $1.8 million through the Congenital Heart Defect Research Awards, bringing CHF's total amount funded to over $9.6 million. CHF is a national 501(c)(3) tax-exempt charitable organization, whose mission is to support the most promising research to advance the diagnosis, treatment, and prevention of congenital heart defects.